Wednesday, 1 May Cake Sale View DetailsCake Sale for YR5/6 at 3pm. Thursday, 23 May France Trip View DetailsYR6 children off to France until the 26th May. Friday, 24 May Half Term View DetailsBreak up for one week. "Our School values and vision:"
"We learn and build the future together." 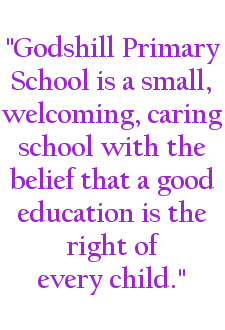 On behalf of the staff, children and governors, welcome to Godshill Primary School. At Godshill we seek to provide the highest standard of education for each and every pupil in our care. We want our pupils to challenge, achieve, respect and enjoy (C.A.R.E.) on academic, social and emotional levels in a rapidly changing world. The school values the strong partnership that exists between parents, children, staff and governors and believes that by working together our children experience the best possible start in life. We are very lucky to be based in a grade II listed building dating back to the 1800s when the school was re-built by Lord Yarborough. 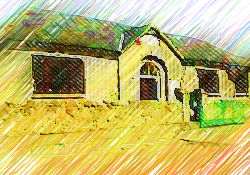 There has been a school in Godshill since 1615, set up by Lady Ann Worsley and we're still going strong today! 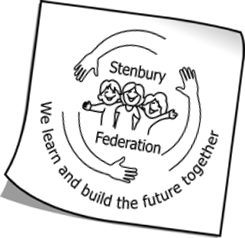 In 2010, Godshill Primary School became part of the Stenbury Federation. Within this federation, we are working closely with our neighbouring primary schools: Chillerton & Rookley and Wroxall Primary. We are happy to answer any inquiries. Please contact us if you would like any more information or if you would like to visit the school. If you require a paper copy of any information on our website, please contact the school office who will provide this free of charge. Adaptions & Refurbishment of school buildings.